For the most part, basking in the warmth of the sun can be a pleasurable experience. Depending on the climate you live in, the warm sunny days can be accompanied by bouts of humidity. Some warm climates across the country experience a dry heat with no humidity, like the state of Arizona, however, there are other places in the country that experience heat with extensive bouts of humidity. For those that live in the city of Houston, turning on the air conditioner is part of what is done on a daily basis. And most consumers are making vast attempts to try and curtail having to pay high utility bills. Air conditioners can cause your utility bills to spike, especially when they are used on a 24/7 basis. But, the caveat to that is, when the weather is miserably hot, you will need an air conditioning unit so that you will be able to cool down. However, when your unit is not working and you need to have it replaced, you will need to be able to call upon a reputable technician who has the expertise in AC installation in Houston. 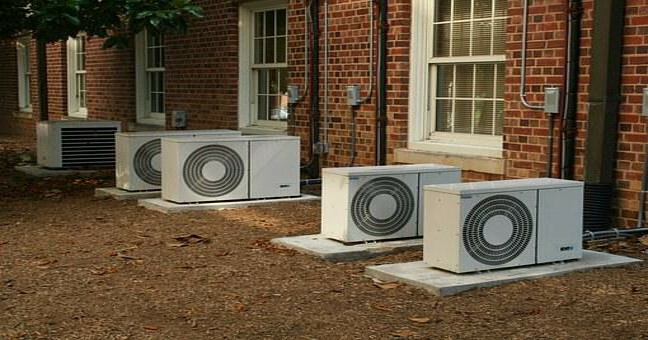 Once your unit is installed in order to help curtail paying unnecessarily high monthly bills to the utility company, there are some great tips that will help air conditioners stay in excellent working order. These simple steps of prevention will keep many from seeking repairs from the experts that install AC installation in Houston. These tips that most companies will tell their clients are the same ones that have been repeated down through the years. For example, open up the windows at night instead of leaving on the air conditioner, drink plenty of water, wear light clothing because this will reflect the rays of the sun and most of all eliminate any strenuous outdoor activity. If you need to replace your air conditioner, the cost can be moderate to expensive. Few people can afford to pay the several thousands of dollars that these air conditioners cost, so the nice part about it is that most of the companies that you purchase the unit from will be able to finance the air conditioner so that you will be able to make monthly payments. Therefore, it makes sense to protect your investment. Don’t neglect to purchase a maintenance plan when you are buying the unit. It is more than likely that the maintenance plan will also include regular check-ups on your air conditioner so that preventive measures can be taken and small problems are identified early. This will prevent performance problems with your unit when you begin using it on a daily basis, in the summer months, f you live in such a climate where your air conditioner only runs about 5 months out the year. Sometimes your unit only needs to be cleaned and have the filter changed in order for it to begin working properly again. Cleaning should be a regular part of your air conditioner’s maintenance because the air inside your home can be much more polluted than the air that is outside your windows and doors. This is because your home is a sealed environment and it traps contaminants inside your atmosphere where they can cause health risks over time. This is especially true for those persons that suffer from allergies, asthma, and other breathing problems. So, if you just want to do some preventive maintenance on your unit, or you know that your air conditioner needs to be replaced or repaired—then it is time that you contact a professional air conditioning technician located in Houston.